Eberle13 (“User Role Editor” plugin user) asked me a question, why ‘unfiltered_html’ user role capabiltiy does not work under WordPress multi-site? I found the reason and posted answer to the eberle13’s question at wordpress.org. I curiously played with my test WordPress 3.1 Release Candidate 4 multi-site installation. This problem with using ‘unfiltered_html’ capability still exists in it. I decided to make special post about that as it could be interesting someone else. I tried to insert mordern HTML5 tag ‘<video>’ into post without success – it was removed by WordPress every time I saved the post changes inspite of I made that under account with ‘Editor’ role privileges. ‘Editor’ role has ‘unfiltered_html’ capability turned on by default. What is the reason? Why this capability failed to work? // Fall through if not DISALLOW_FILE_MODS. 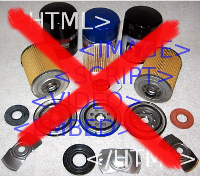 // Disallow unfiltered_html for all users, even admins and super admins. Thus, function map_meta_cap() at the capabilities.php always returns ‘do_not_allow’ for the ‘unfiltered_html’ if you are not the superadmin in the multi-site environment. This way WordPress developers decided to prohibit “unfiltered_html” globally and allow that for the superadmin user only in the multi-site environment. So we can consider this capability as deprecated for the WordPress multi-site. In most cases you trust to your editors. Why not allow to your editors to use arbitrary HTML tags in the posts? function from kses.php file into site theme functions.php file, doesn’t give the desired result. As I see WordPress calls kses_init() function in the different places and not one time, and probably override my kses filters remove try :). I did not make more deep research yet. May be you found some applicable workaround for that? Share please your experience with others. This entry was posted on Saturday, February 19th, 2011 at 03:44	and is filed under Security, WordPress. You can follow any responses to this entry through the RSS 2.0 feed. You can skip to the end and leave a response. Pinging is currently not allowed.